Tires - the only reliable thing is them blowing! 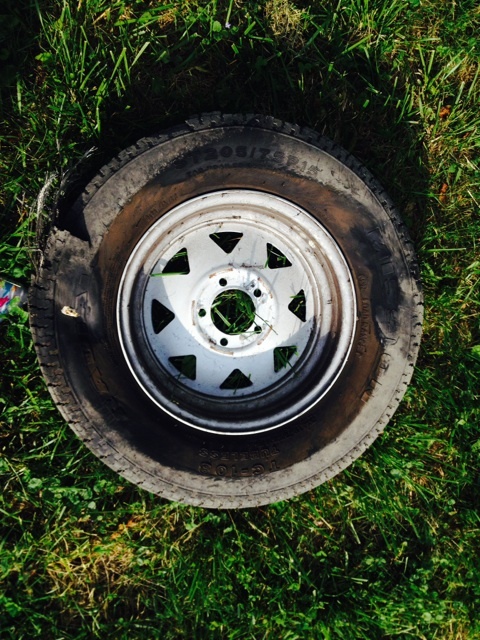 We are the ones that blew a tire on the turnpike on the way to Buttonwood two years ago. We've replaced all the tires, made sure the date on them was within the last year, using tire covers, parking on gravel that drains, checking tire pressures regularly. Just had camper inspected 4/2014. And our first trip out we blow a tire on the way home on I 78. 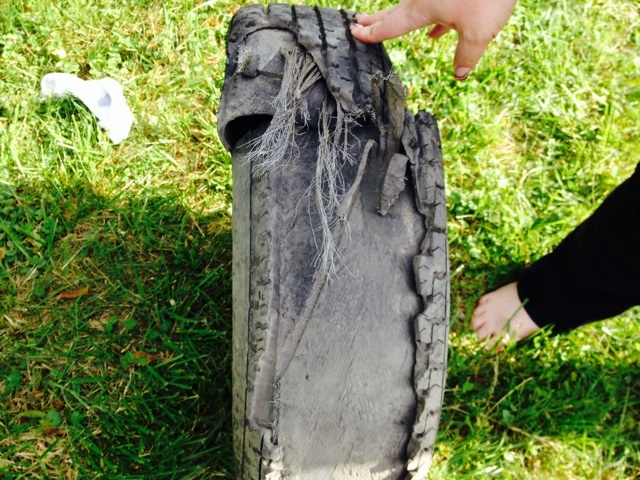 This is our third blow out on the camper. I have to admit this is starting to really stress me out. I've been reading the other threads, but we aren't qualified to do major mods ourselves. 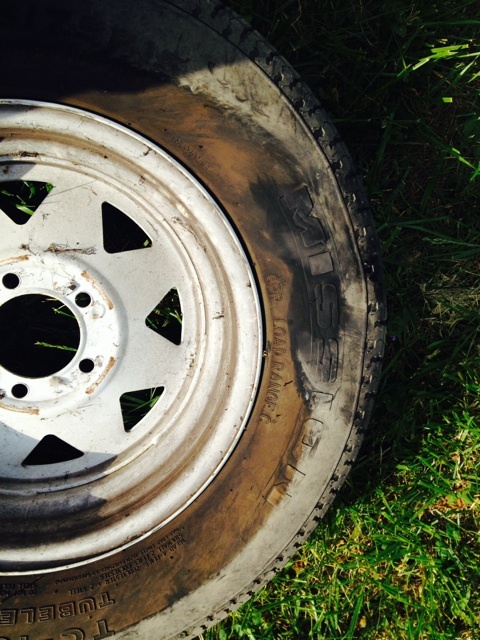 Is there a shop that anyone can recommend that really 'gets' these tire issues? We are in Royersford, Montgomery County, I am willing to travel up to about an hour radius to get some serious help. Where do we start? A D level tire? Which I think requires new rims? I cant help you with a close by shop, but if you can find one be sure to tell them if the blow out problem is the same tire each time. Such as left front, right rear etc. It could be a axle alignment problem shackle problems, or bent axle. I am not promoting tire mfg's but so far I have seen the least problems with Carlise and Goodyear Marathon tires. I don't know what your OEM load range tire was, but going up one would not hurt. You would not to have to change anything. WOW, that really came apart. I hope you are safe and no trailer damage. As krazedave said, could be an alignment problem. Wish I knew of a good place for you to go to. 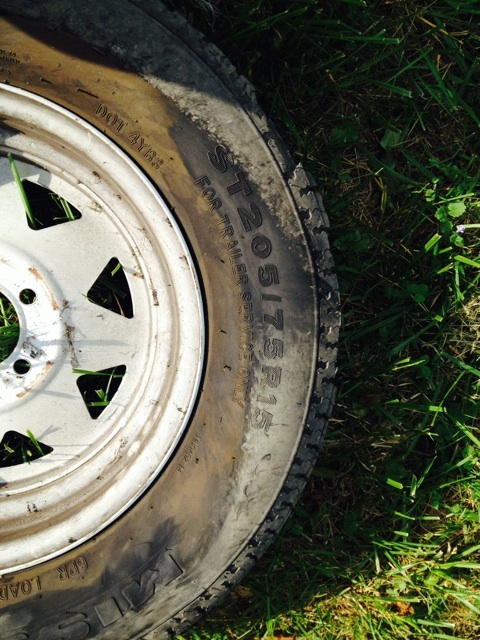 I replaced with load range D on my T-1950 on the original rims after two blowouts on the Mission tires. Here's a challenge, try to find trailer tires made in the USA. I have trailer rated tires on my T1700 and for the life of me I can't figure out what makes them "trailer" rated tires. They are 4 ply rayon tires with a load rating no better than car tire. 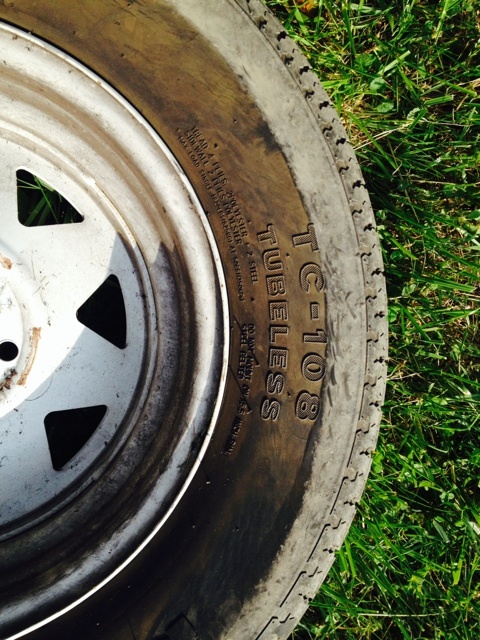 They are also stamped "trailer use only". Millers Service Center- Rvs & Mobile Home Parts in Honey Brook Pa. just 45 min. from Royersford. I get all my work done there super nice people to deal with. What's Wrong with ST Tires? Download the pdf Trailer Tires: Tips and Best Practices from Carlisle's web site for some real insights into the short comings of ST tires. While you're reading, think about whether you've ever heard anything so blatantly self-serving about P or LT tires. Also read "between the lines" to hear Carlisle themselves say numerous times what junk ST tires are. I agree with one thing they say and that is repeated blow outs indicate something else is going on than just poor tires. Is your floorplan is susceptible to overloading? Do you know your axle weights? Even better would be an individual wheel weight. Small portable scales for individual wheels are out there and not that expensive, but unfortunately nobody except law enforcement and DOT people seem to have them for on the road spot checks. They're light and easily fit into a car trunk. If you know someone in this field, see if you can arrange an individual wheel weight session. Otherwise, axle weights are better than nothing.